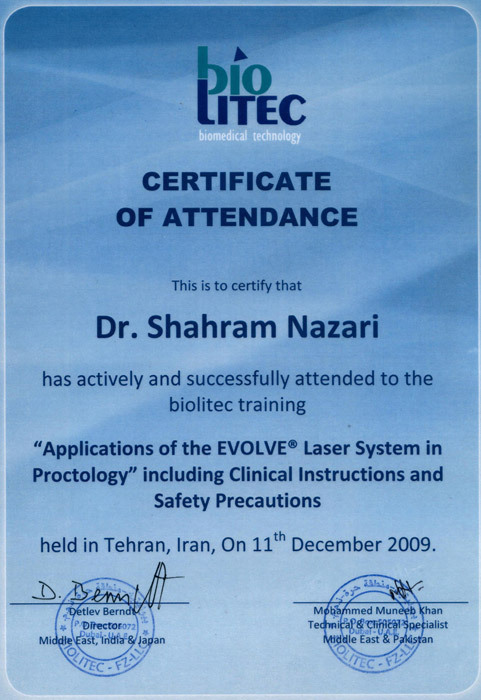 Gastrointestinal and Liver Disease Research Center (GILDRC), Tehran, 2009. 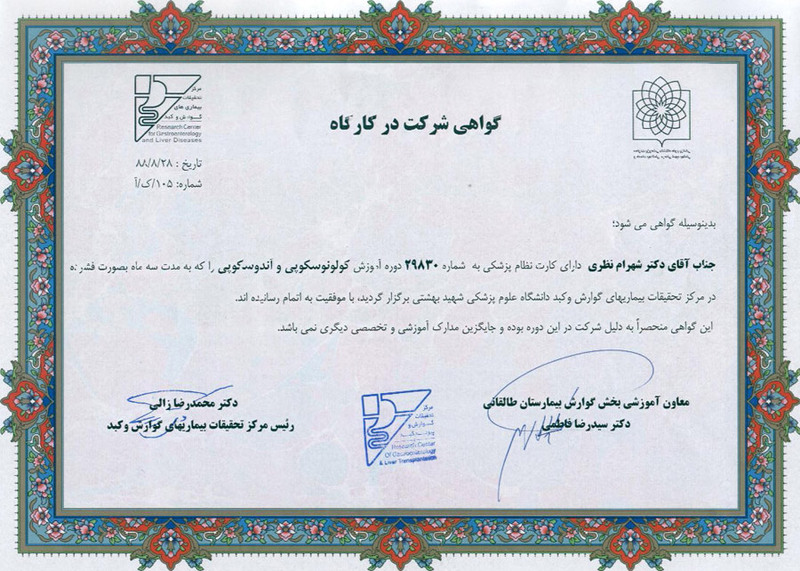 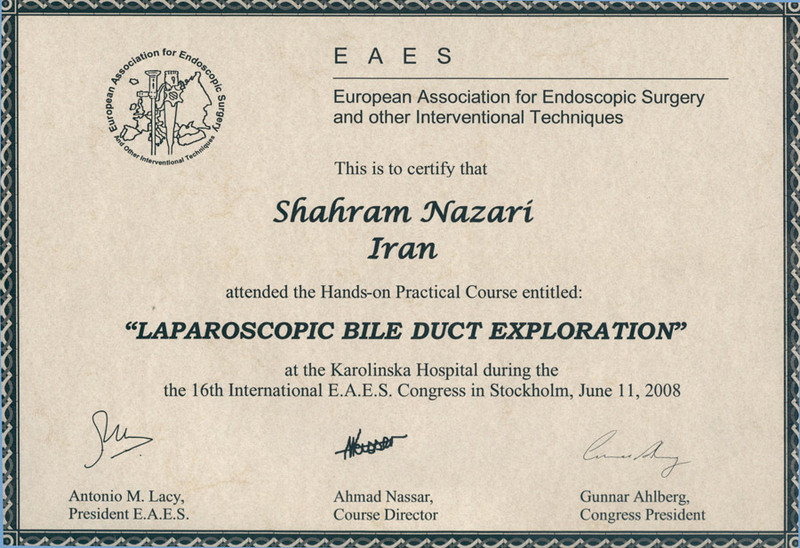 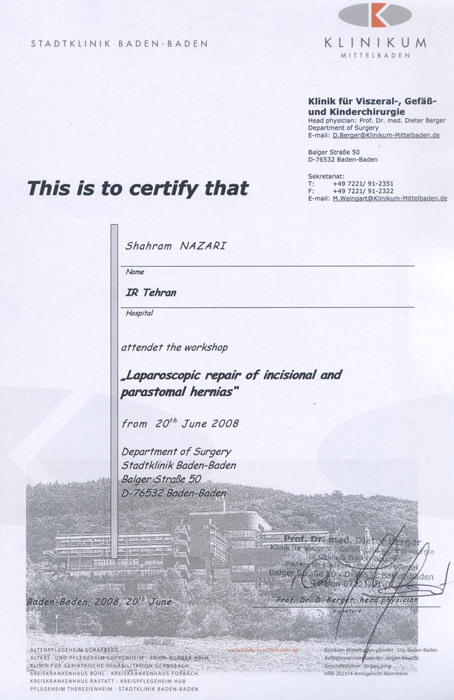 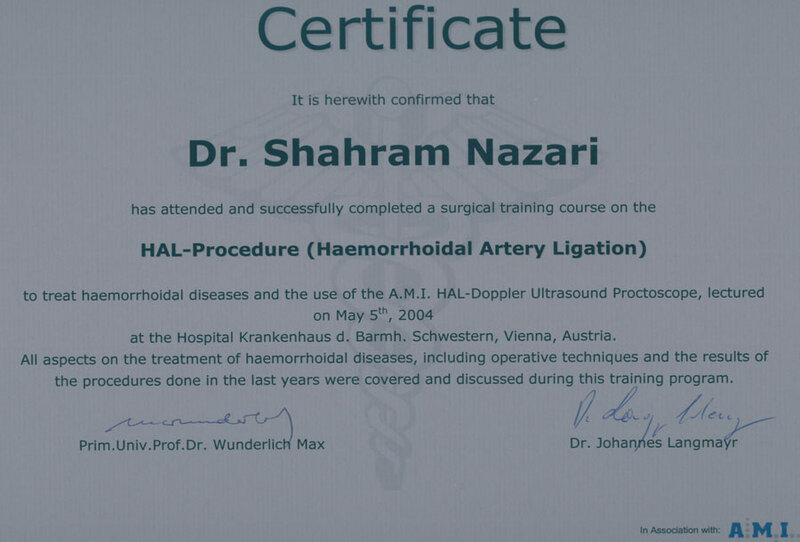 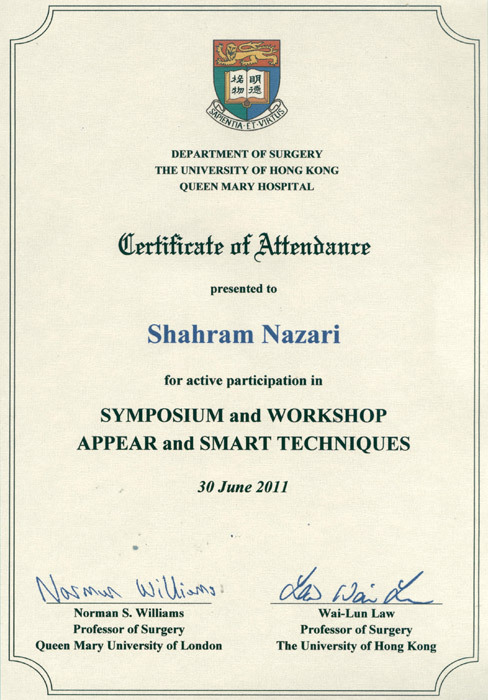 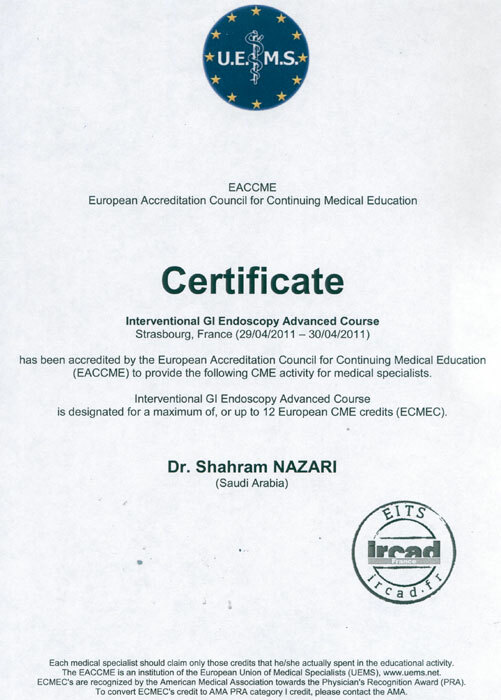 Dr. Nazari has completed this course on 2004 at the Krankenhaus Hospital in Austria. 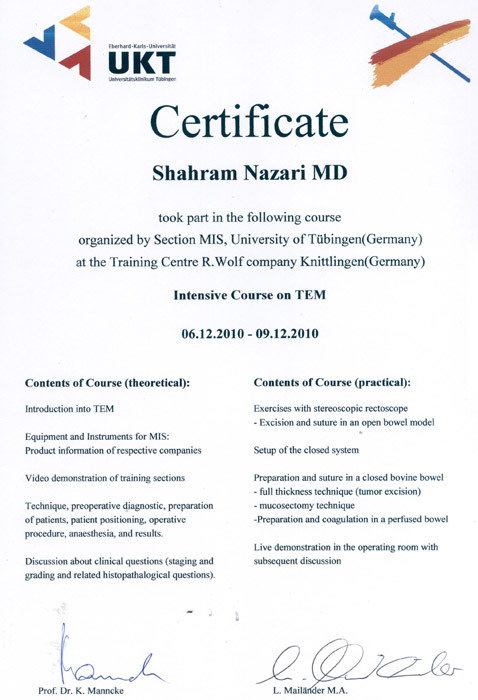 University of Tubingen at the Training Center R. Wolf Company, Germany, 2010.